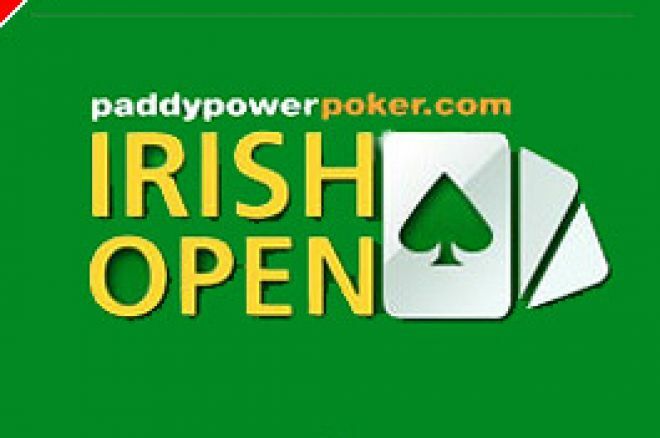 UK Poker News continues to highlight the Irish poker scene ahead of the big event in Dublin, the Paddy Power Poker Irish Open, scheduled to begin next week on 14th April. UK Poker News' Irish correspondent, Oliver Boyce, talked to Nikki Newman, Poker Operations Manager for Paddy Power Poker, about her role at the on-line company, the work that goes on behind the scenes, the company's sponsorship of the Irish Open, and a lot more besides. Nikki is responsible for the day to day running of the PPP poker sites and all of its associated websites. She also manages the gaming support team and the many varied processes and procedures that come with that territory. In this, the first of a 3-part interview, Nikki describes her involvement with Paddy Power Poker, its attractions and challenges, and also enthuses about the sponsors' role being played by Paddy Power Poker in the forthcoming Irish Open. UKPN: Hello Nikki, thank you for taking some time out to chat with UK Poker News about Paddy Power Poker and the upcoming Irish Poker Open. NN: Thank you for asking me. I am a huge fan of UK Poker News so it is fantastic to get this opportunity. UKPN: Firstly, can you tell us how you got started in poker and what made you take a job with Paddy Power Poker? NN: I suffered the usual misspent childhood playing for matches and kudos amongst my siblings, but it was my discovery of online poker around three years ago that really piqued my interest. This quickly became more of a passion than a diversion and I began assimilating as much information as I could to improve my game. After around three months of playing I stopped making deposits altogether as I had reached break even and very shortly after that I began to make a profit. The combination of mental challenge, risk, psychology and profit were all the necessary ingredients for my continued enjoyment, isn't that what life is all about?! Historically my career involved setting up micro-businesses. Businesses within businesses as it were, it is a challenge I have always enjoyed. Quite frankly when the job came up in Paddy Power I couldn't believe my luck. The prospect of marrying my professional skills with my passion was almost too good to be true. I practically begged Paddy Power for the job, I really mean it; it's quite embarrassing in retrospect! UKPN: Paddy Power Poker is a skin on part of the Tribeca network; can you explain this relationship and how it works? NN: Tribeca is a network. Essentially all of Tribeca's customers (cages) own their own skins but share a pool of players. This means that we can produce more game types and they will populate quicker so that players are not sitting around waiting for a game to start. Each business cage is run completely differently and will have different tournaments, bonuses and basic look and feel. I suppose it is a bit like the "One World" airline alliance where a conglomerate of businesses within the same industry co-operates to give customers more flexibility and superior service. UKPN: What sort of games do you offer your customers on your site and do Paddy Power Poker customers do well against all the other skins on the Tribeca network? NN: We offer Texas Holdem, Omaha, Seven Card Stud, and Badugi Poker. We also have hi/lo variations of both Omaha and Seven Card Stud. Players can chose between a variety of buy-ins from micro-limit to high stakes and we offer cash games, single table and multi-table tournaments. We also run a massive amount of loyalty free-rolls and giveaways. Customers earn "Paddy Points" the more they play and can use these to enter free-to-play cash pay-out tournaments. In addition, Paddy Power Poker have numerous scheduled giveaways which are completely free to enter, we live to give! We are proud to have a huge number of excellent tournament players on Paddy Power Poker. Every month we send dozens of players around the world to compete in top class tournaments. Frequently our players take top prizes in some of the biggest payout tournaments on the network and every time it happens it makes me feel like a member of my family just won the Nobel Peace prize! Proud as punch; I really do get a kick out of it. UKPN: Many people reading this will be aware of the Irish Open next week which Paddy Power are sponsoring. Can you tell us more about this and what the event means to Paddy Power Poker? NN: This year's Irish Open will be phenomenal. Last year we had around 170 players but this year, due to the massive prize pool, we have had to cap entry at 350 and as I write this we are pretty much sold out! The Irish Open is one of Europe's longest established poker tournaments. It was first held in 1981 by the late, great Terry Rogers, famed bookie and passionate poker player. Twenty-four years later, after the launch of Paddy Power Poker, we decided to carry the flag and sponsor the event. The Irish Open and Terry Rogers embody Irish tradition and entrepreneurship and Paddy Power Poker hold these qualities in high esteem. We felt it was only fitting for the punter-friendly Paddy Power to carry on the tradition and help continue to build the Irish Open into the world class event that it will be this year. In 2006, Paddy Power Poker are guaranteeing &euro;1,000,000 and adding &euro;50,000 to the Main Event. This festival of poker takes place from the 14th to 17th of April in Jurys Hotel in Dublin and promises to be an event to be remembered for all time. UKPN: Paddy Power Poker have added prize money to the event. Do you see this becoming standard in poker events of the future to attract the bigger name players? NN: I can see it becoming standard in most sponsored poker events as the bigger players are bound to be attracted by the added value. If you look at it this way, by adding &euro;50,000 to the Main Event, we are essentially putting fifteen players into the event that no one will ever have to play against. +EV if ever there was a case for it! UKPN: What well-known players will we expect to see at the event? NN: "The mad genius of poker" Mike Caro is gracing us with his presence along with a host of other poker stars! Bad girl Pham and her partner Steve Vladar, Mad Marty Wilson, Willie Tann and the venerable and talented Lucy Rokach will also make an appearance. Alan Betson will be back to challenge "Burnley" John Falconer to a re-match but I am pretty sure its not going to be easy ripping that trophy back from John! Roy "The Boy" Brindley, Mickey Wernick, Noel Furlong, Simon Trumper... shall I continue? When we say a host of poker talent, we mean it! UKPN: The event will also be televised live on Sky Sports, How did you manage to get Sky Sports involved and is this the start of things to come in Europe with live coverage of Poker events? NN: Sky Sports have always been very pro-active with emerging markets like televised poker. Over the years we've developed a relationship with them and producing a live poker event in Ireland was something all parties were interested in doing. Live poker on TV is a really big task, everything has to be prepared beforehand and there is no second chance or room for error. We're confident that it will set the standard for televised poker in Europe and we are really excited about it. UKPN: Paddy Power Poker was also responsible for bringing the Grand Slam of Poker to us, which is currently being shown on Sky Sports. This event must have been a massive undertaking? NN: Viewers at home rarely see all the work that goes in to such things! Ross, our trusty Marketing Manager, worked flat out getting all sorts of logistics and tournament rules set out; and then there's the editing! Overall, TV projects are a huge undertaking but at least they enable us to get our brand to large audiences - and the Grand Slam looks great, did I mention that it's on Sky Sports 2 at 10pm every Tuesday? !